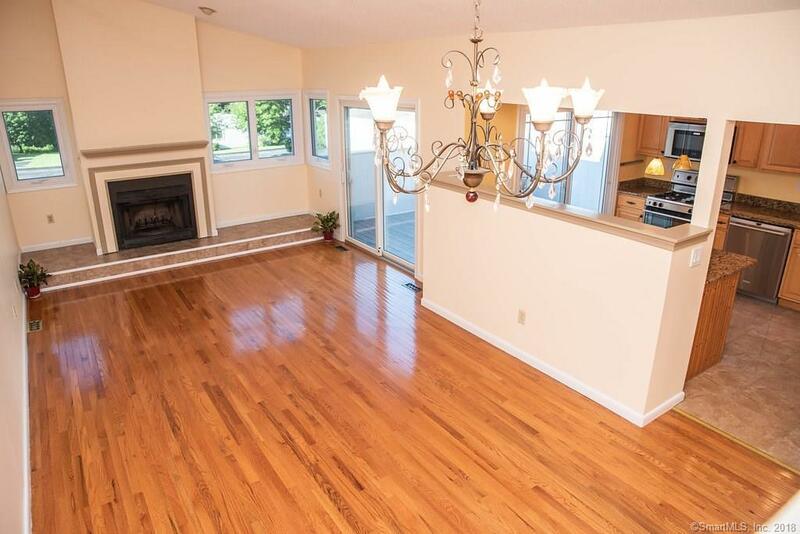 Come see this tri-level townhouse in a small desirable complex with easy access to I-95. Interior & deck have been freshly painted. The living room offers cathedral ceilings, wood floors, a wood burning fireplace which can be converted to natural gas insert, many windows and a slider to a private deck. The kitchen has been remodeled with wood cabinets, granite counter tops and stainless steel appliances. A breakfast bar/island looks out to the private deck accessible from both the kitchen and living room. One level down is the front door, foyer, huge double-coat closet and newly tiled (12 x 29) family room. The family room would be a great TV/movie/Entertainment room or a combination of in-home office and 2nd living room. Upstairs is the Master bedroom with a slider to a deck and garden area, walk-in closet & master bath. A 2nd bedroom also with a walk-in closet, laundry area and full bath with tub/shower combo. There is more to this unit - a one-car garage with door and opener and a 2nd garage carport covered with no door. The storage in this bright and light and newly renovated unit is like no other.